(Bridgewater, N.J., June 6, 2016) - The Somerset Patriots have announced the signing of Major League right-handed pitcher Ryan Reid. Reid enters his first season with the Somerset Patriots and first in the Atlantic League of Professional Baseball. He comes to Bridgewater with a one season of service at the Major League level. Reid appeared in seven games with the Pittsburgh Pirates in 2013. That season, he recorded a 1.64 ERA with one save and seven strikeouts over 11.0 innings of work. The Portland, Maine native spent the first seven years of his career in the Tampa Bay Rays organization before he split time between Triple-A Indianapolis and Pittsburgh in 2013. 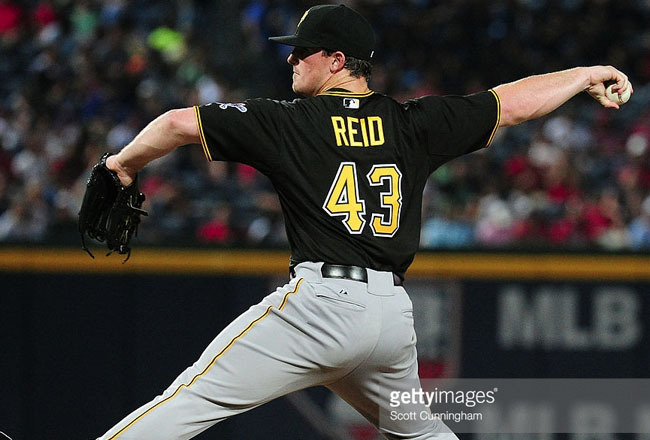 The next season, Reid went 5-2 over 48 relief appearances for Triple-A Las Vegas (New York Mets) with four saves and 56 strikeouts. Reid’s best season came as a reliever with Triple-A Indianapolis, where he went 7-2 with a 2.73 ERA and two saves in 36 appearances. Most recently, Reid recorded four saves and with 1.04 ERA in six appearances for Advanced-A Jupiter (Miami Marlins) earlier this season. The 2006 seventh-round draft pick is 39-30 with a 3.95 ERA and 37 saves in 362 games (20 starts) over his 10-year professional career. Reid will be active for Tuesday night’s game against the New Britain Bees.